These lenses are super pretty! They're really comfortable to wear! I love how they are more vibrant on my dark eyes, gives them a real pop! 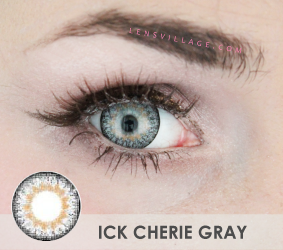 ICK Cherie3 Grey is a 3 tones lens that gives you striking and noticeable eyes. They blend naturally especially in dark eyes and 15mm diameter gives you a moderate eye enlargement with an ulzzang style. 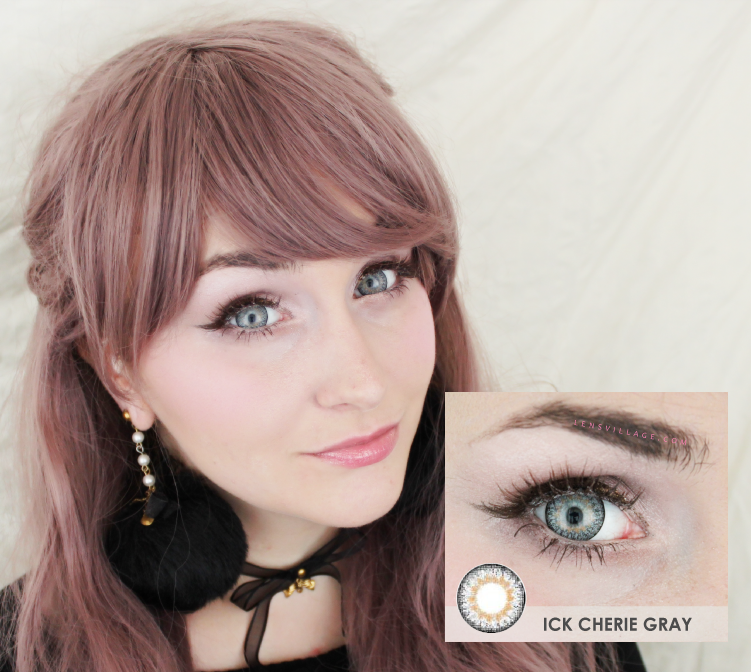 After putting on the ICK Cherie Grey contacts, it looks vibrant on light eyes. This contacts is thin, so it makes it comfortable even wearing it for 5 hours and the water content is quite high, therefore, my eyes are not dry so easily even having it on my eyes for quite some time. I will recommend it to people who are finding grey lens. The color of this colored contacts makes the stunning look of my eyes. Despite there is a little black rim at the outer side, the enlargement is subtle. As for the comfort level, it is comfortable because of the thin lens. For now, I’ve been wearing this contactsto some occasions and much compliment received!